The Rockport Film Review: "Seventh Moon" Send it to the Moon FOREVER! Usually, when I do reviews for this blog, it is of a movie that I’ve seen before and one that I think deserves to be seen. With “Seventh Moon” I broke with tradition and paid the price. 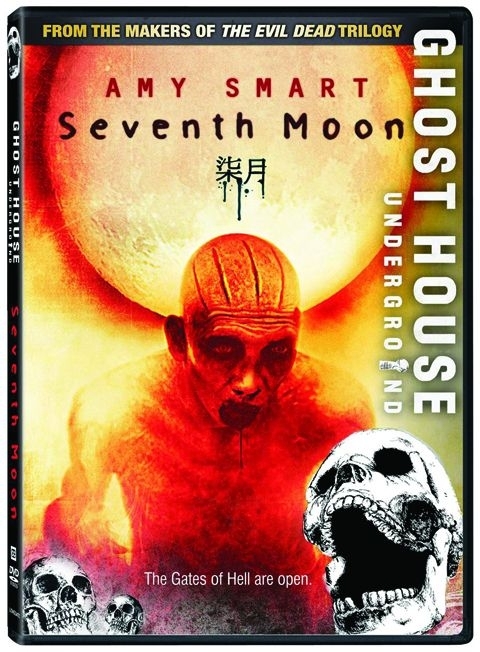 This movie is part of the Ghost House Underground series of horror movies produced by Sam Raimi’s company. If you’ve read any of my previous reviews you would know that he is one of my favorite directors. This movie was also directed by one of the co-creators of “The Blair Witch Project,” Eduardo Sanchez. Starring uber-hottie Amy Smart, I had relatively high hopes but was supremely disappointed. I hoped for steak and got Spam. The whole story is based on an old Chinese myth that on the full moon of the seventh lunar month the gates of hell open and the dead are free to roam the earth and feed. Smart’s character, Melissa is on her honeymoon in China with her Chinese husband Yul. She is completely misused and he is just a big whining dufuss. This film is so horribly shot it makes you want to rip your eyes out. Filmed in almost complete darkness, and with shaky handheld cameras. Shooting a horror movie in the dark is nothing new, but for some reason, it’s just so frustrating to watch. It’s hard to tell what’s going on, but then even if you did know it wouldn’t be that interesting in the first place. In a way its like “Blair Witch” but then again it is also very different. The creatures are not zombies, but ravenous chalk skinned goons. I like the ideas and the myth in this movie, but it completely missed its mark. I will end this unpleasant review by saying that the best thing on the DVD is a five-minute featurette in the extras of an old 1980’s Chinese television special on the seventh moon myth.